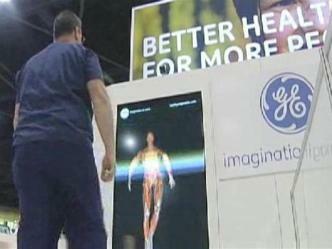 Alive & Well LA is is two-day event promoting healthy living and wellness. June 26 and 27, 2010. Join NBC LA at Alive & Well LA! Alive & Well LA schedule of events. 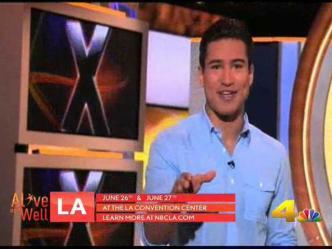 Extra's Mario Lopez will joing Alive & Well LA and take the Age Fitness Challenge. Mario Lopez Will Take the Age Fitness Challenge! Improve your health and fitness, join Alive and Well. See inside your own body with "Visible You" 3-D technology. Take the GE Healthy Living Challenge! Democratic presidential hopeful Kamala Harris made a brief appearance in New Orleans Friday, where she repeated her call for tax credits for working families and a nationally funded teacher pay raise. Caltrans will close several 405 Freeway ramps next week in the area of Los Angeles International Airport to allow for a construction project in the Inglewood area.